Our corporate goal is to design and construct communities that will give our clients a better quality of life. We start by searching out and securing properties that have that “something special”, then we plan the community to focus its natural highlight. 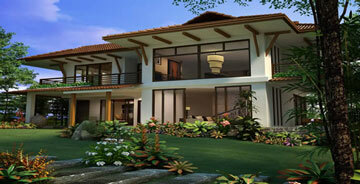 From there we design specific homes with three main tenets. Functionality, attractiveness and affordability. Once the planning is complete, only then do we start with construction, which we do with only one thing in mind. Delivering the quality foreign have come to expect from their western roots. That are the tangibles that we can put a price on, but we do more! We are fully and totally committed to the concept of customer service. Whether you are “kicking the tires”, in the process of making a decision whether to purchase or have already moved in to one of our houses, we will be with you every step of the way with knowledgeable, respectful and courteous customer service, with only one concern in mind. Making you happy. Please feel free to browse our community options and please do not hesitate to contact us directly, and we will do whatever it takes to make you a happy customer.